A fun, flirty and feminine leather wrap bracelet is the perfect accessory by itself or stacked with others. Arm candy. 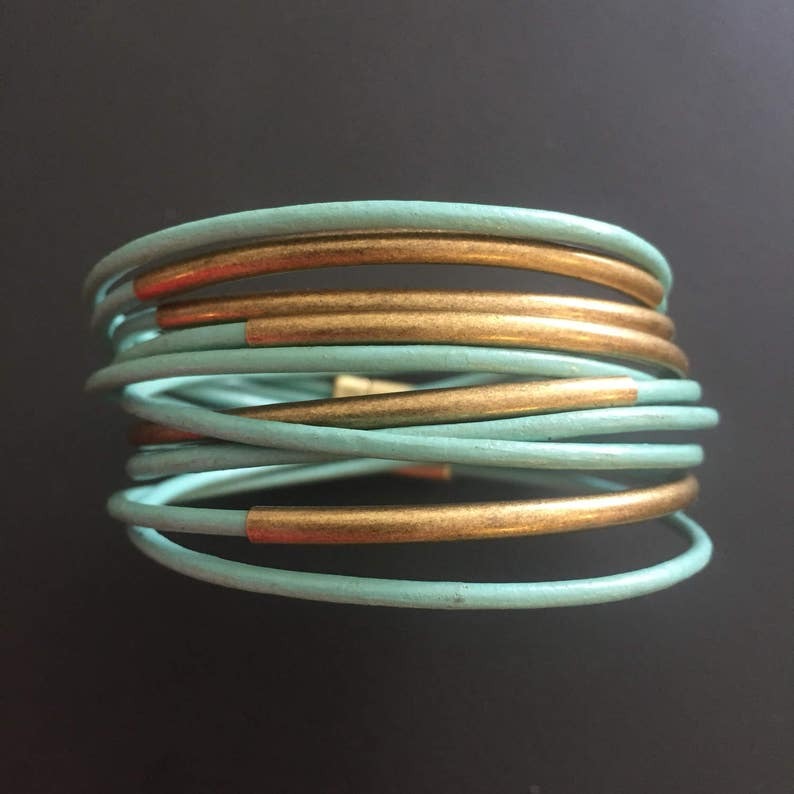 Five SEA GREEN leather bracelets are adorned with 5 curved tubes. When single wrapped, the bracelet looks like 5 bangles, when double wrapped, the bracelet looks like 10 bangles. It has an easy magnetic clasp closure. ATTENTION: Due to the custom nature of the bracelet size, this is not returnable or refundable. Measure your wrist, make sure to select the correct size! The bracelet can be ordered with 3 different finishes: antique brass, silver and gold. Please select your finish and length in the drop down menus. I bought as a gift for friend and she absolutely loves it! Really love the color combo. I received the tan/brass as a gift and it goes with so much.